Body massage is brilliant for relieving stress, tension and releasing endorphins. It improves blood circulation, lymphatic drainage, mobility and the feeling of wellbeing. 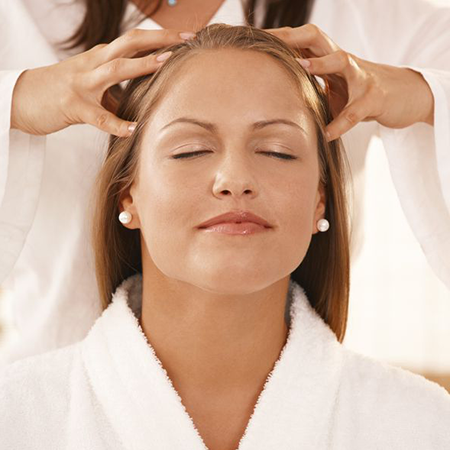 Choose from 30 minutes to an hour of relaxing massage and I guarantee you will feel calmer and more relaxed afterwards. You may even fall asleep! This is great for headaches, eye strain and sinus problems, release of anxiety, tiredness and depression, improves sleep, alertness and concentration, is calming, comforting and promotes a feeling of well-being, improves skin and hair condition, relieves muscular tension, helps to improve muscle tone, improves respiration by deeper breathing, good for stress and stress related conditions, helps with circulation problems, improves joint mobility in neck and shoulders, increases energy levels, strengthens the immune system, promotes hair growth and strong, healthy shiny hair, improved lymphatic drainage, aids in the elimination of accumulated toxins and waste products. This can either be done seated or lying down. Perfect for any Mum-to-Be. Not only is it relaxing, but this treatment will help reduce many issues related to pregnancy such as swelling, sciatic pain, muscle discomfort, tension, anxiety & insomnia. It will also increase muscle tone, flexibility, the immune system, oxygen in the blood, blood circulation, and the release of endorphins. You will need to be at least in your 2nd trimester and in good health.